Reminiscent of earlier models in its timeless design and all-terrain performance, the Range Rover Sport has supercharged the standard of luxury SUVs in both power and high-end styling. 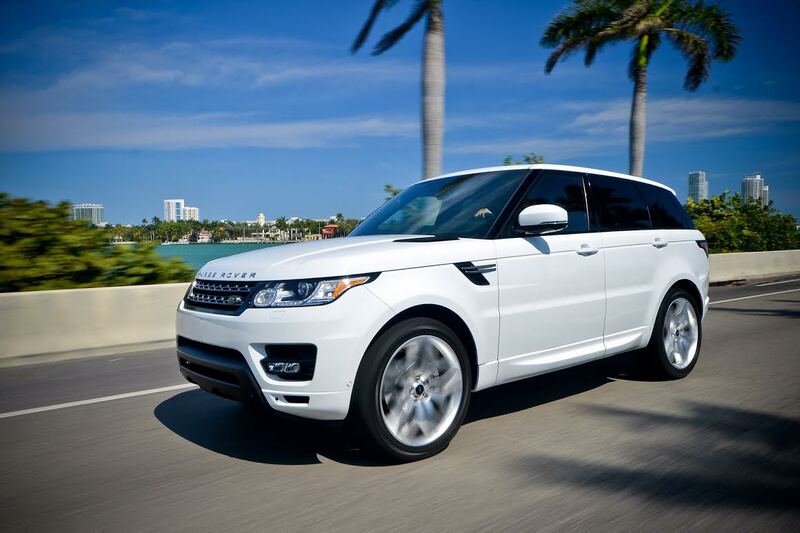 A modernized version of the original luxury SUV, the Range Rover Sport combines all-terrain adventure with a contemporary touch of elegance and comfort that's a far cry from the standard definition of "roughing it." This Miami rental SUV is the whole package; power, performance and class...all wrapped up in a package that, quite frankly, screams success. This luxury Miami rental exhibits over-the-top elegance with its diamond-mesh chrome adornments. 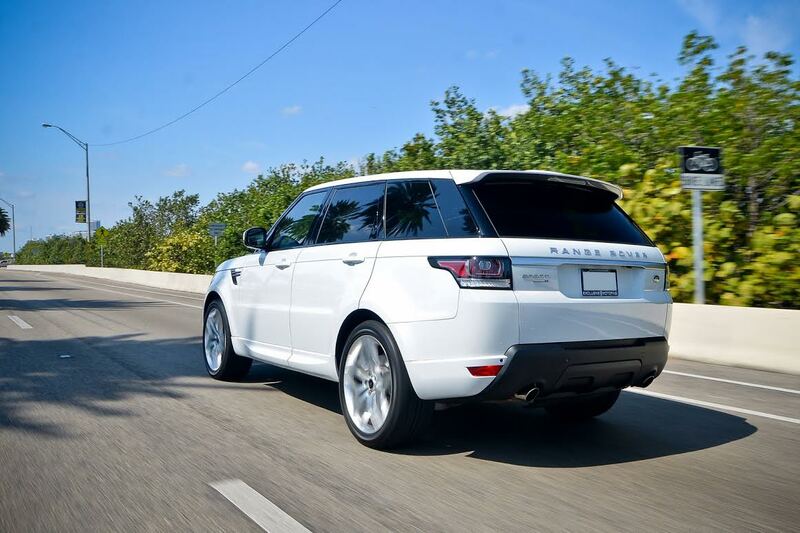 The chrome tipped exhaust and clear lenses over the rear taillight cluster distinguish the Supercharged Range Rover Sport from its pedestrian counterpart. It's sophisticated air suspension, easily accessible through a knob on the center console, allows you to match suspension settings to both on- and off-road driving conditions. The Supercharger responsible for this luxury rental SUV differs significantly from a standard turbocharger. A mechanical pump sends compressed air into the engine. From there, it's a simple equation, really: More air equals more power. Superchargers excel at delivering low end power on demand - just what you need to get a big SUV up and moving even in the most challenging terrain. And the Range Rover Sport can move; it's supercharged 4.2-liter V8 engine producing 400 hp and barreling through from 0 to 60 mph in just 7.1 seconds. Not bad for a back-country behemoth. 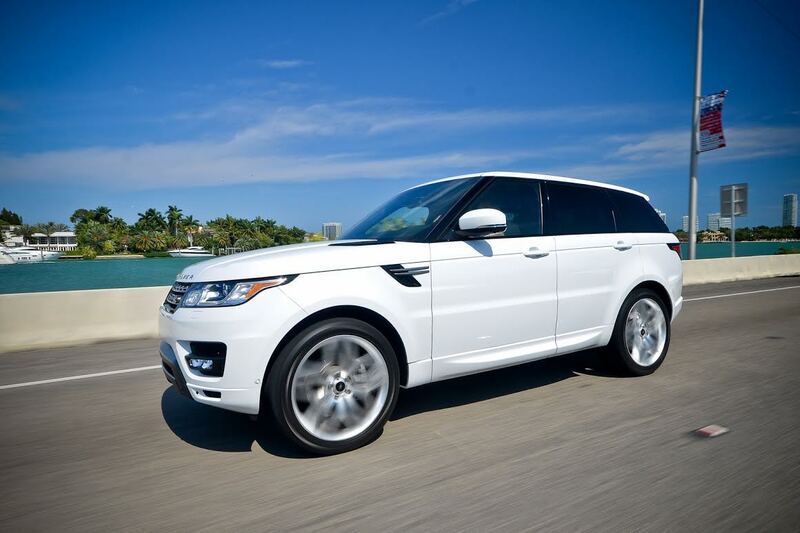 Anywhere you want to go - on road or off - this luxury SUV rental from Elite Luxury Rentals gets you there in unsurpassed style.